In 1994, in September, the department of the Kyrgyz language and literature was separated, the head was appointed Cand. filol. 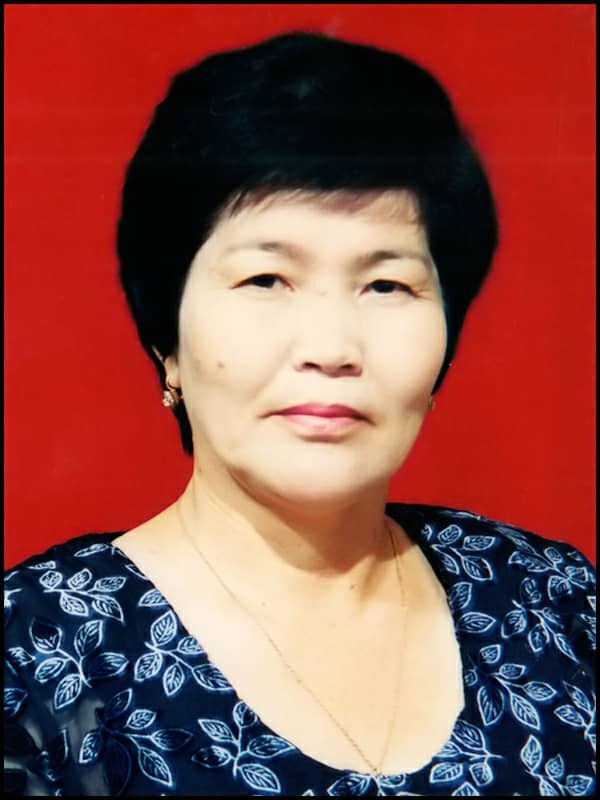 K. Kalchakeev K. In 1998 the Department of the Kyrgyz language was organized and the candidate was nominated for the post. filol. Dr. Kadyrova A. In 2008, the departments merged Kyrgyz language and the state language and practical course, the head was appointed Ph.D. filol. Sciences, Associate Professor Azybayeva Z.A. By the decision of the Academic Council of Zhagu from January 17, 2011, the Department of the Kyrgyz language was created. By order of the rector of Zhagu from 01.22.2011, the head was appointed Cand. filol. Sciences, Associate Professor Omorov A. From April 2016 on a competitive basis was elected head of the department Bakirova G.K.
From 2009 to 2011, the members of the department conducted scientific work on the project on the topic “Monuments of the Middle Ages and the Kyrgyz language, language communication.” Scientific articles were published by professor I.Abduvaliyev, associate professors A.Omorov, G. Bakirova, scientific collection “M.Kashgari – ortho kylymdardynin uluu aalymy” (BJF-A, 2011). From 2009 to 2015, the work was carried out on translating M. Kashgari’s dictionary “Divan lugati t-tkrk” into Kyrgyz in 3 volumes by Professor Zhagu I. Abduvaliev, associate professor A.Omorov, associate professor of KNUI. have been successfully published. At this time, there are 2 doctors of science, 6 candidates of science, 3 senior teachers, 2 teachers, 2 trainee teachers working at the department. The scientific potential of the department is 53.3%. In the 2014-2015 academic year, 3 students of the Kyrgyz language and literature specialty took the 1st place in the Republican Olympiad between universities. In the 2015-2016 academic year, 1 student took the 3rd place.